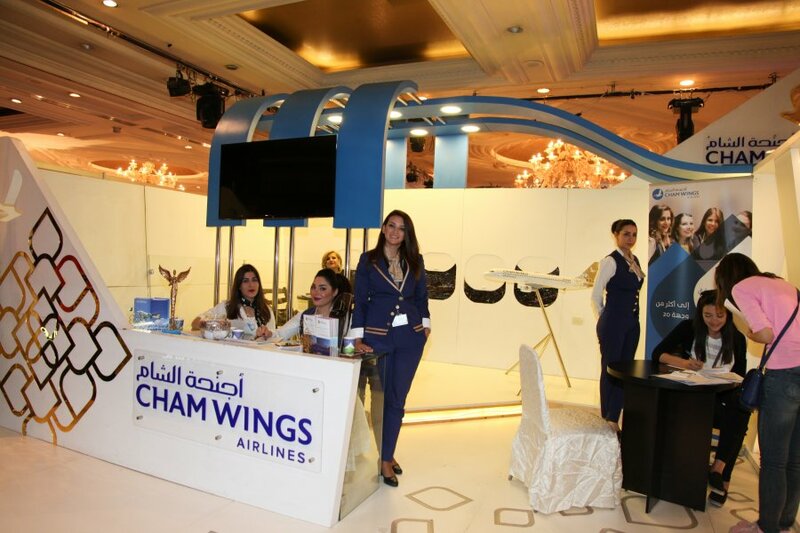 Under the title, “Ibn Al Balad Masoolytna” Cham Wings joined the event of the exhibition of job fair opportunities for employment and training, which was organized by Al Bajaa group who organize exhibitions and international conferences. The fair proceeded for three days in the Dama Rose Hotel. The exhibition included 24 specialized seminars on strategies for Social and Economic Growth and Development in protocol programs for employment and training, and an exhibition that specializes interactively that includes groups of economic, industrial, commercial, tourism, scientific, educational, financial, insurance, media and services. Cham Wings participated in its own private stand in this exhibition, under the supervision of the Human Resources director of Cham Wings, Ms. Taghrid Wannous, who welcomed young people in search for jobs in Cham Wings. To whoever was interested, it was made to their understanding the business rules and the fundamentals and priorities of the company. 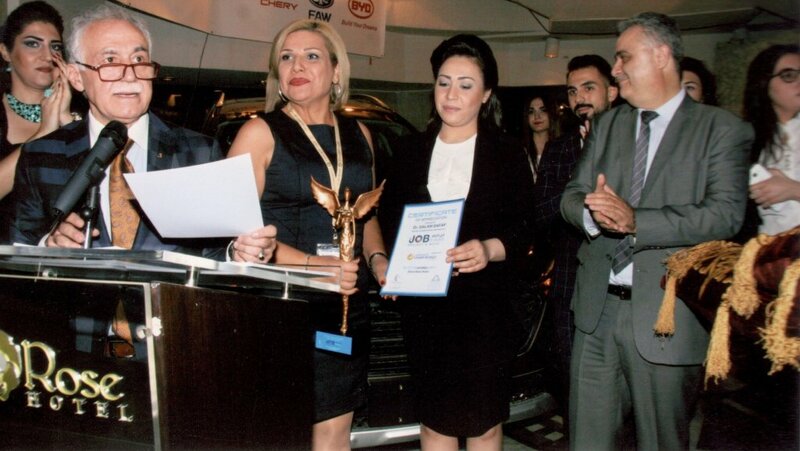 She also confirmed that the next future step in Syria is going to be the main role of the youth, and the interest of this age group is one of the main priorities of Cham Wings, therefore this is the main reason of our participation in the exhibition. As part of his visit to the exhibition, the Minister of Tourism, Mr. Bisher Yazigi, pointed out that there was a great turnout in the exhibition due to public and private institutions and events or by young people who wish to acquire a job, is evidence of an economic recovery in our beloved country, Syria.